On the 14th March 2017 we received confirmation that Ardbeg would be releasing a new expression for Ardbeg Day which this year falls on Saturday 3rd June 2017. The date that also sees Ardbeg bring Islay’s Festival of Music and Malt 2017 to a close. The new limited edition expression “Ardbeg Kelpie” is the first Ardbeg to be m atured in Virgin Black Sea Oak casks. Need to find out a wee bit more about these… anyone? So, in the past Kelpies meant the phenomenal steel structure of the horse heads in Falkirk, now it has another meaning. I think it would only be right to enjoy an Ardbeg Kelpie with Jim, possibly at the Kelpie’s – weather permitting. There is a photo shoot in that somewhere. 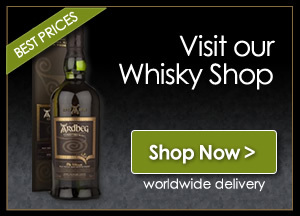 If you enjoy an Ardbeg whisky, click here to see what’s available from our Whisky Shop. Ardbeg Day falls on Saturday, 3rd June 2017. This year, in homage to the sea that surrounds the Distillery’s remote Scottish island home, Ardbeg will again release a celebratory Limited Edition expression. Ardbeg Kelpie is the first Ardbeg to be matured in Virgin Black Sea oak casks. Re nowned for the deep flavours that they impart and rarely used in whisky making – these casks bring a distinct intensity to the world’s smokiest, peatiest Islay malt whisky. Ardbeg’s general release of Kelpie at 46% ABV, launches on Ardbeg Day (3rd June), the expression will be available to purchase from Ardbeg Embassies* for a two week exclusive period. 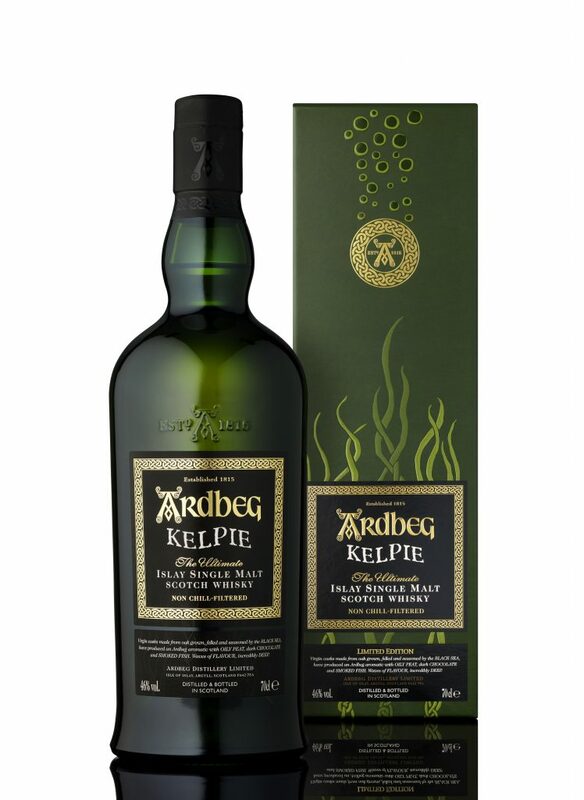 Kelpie will then be available at Ardbeg Embassies, whisky specialists and department stores with a RRP of £98.00. Next story Angels’ Share Whisky Dropper has Another Use!